We had a mini-vacation last week, right after New Year’s. While a lot of people dream about spending time in St. Bart’s or Aruba during the winter, we like to take advantage of the bright, white landscape. 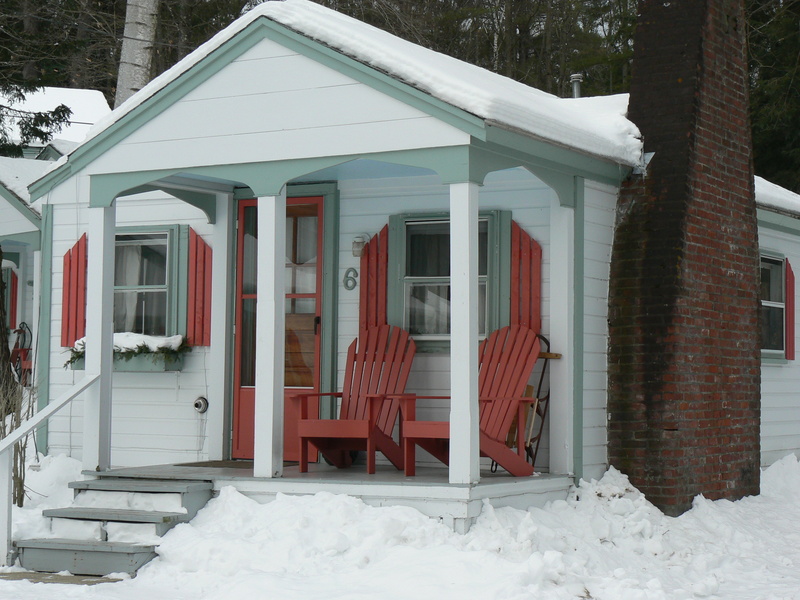 So we drove north to Lake Winnipesaukee in New Hampshire and checked in to our little cabin. Yes, they’re rustic! But you know what? I’ve stayed in plenty of high-end hotels. Sometimes they can disappoint (high expectations to match the high price). Besides, when you want your little dog with you, you can’t always be choosy. This place was wonderful – cozy, spotless (and yes, it’s always a good idea to check, no matter where you stay), friendly, quiet. Our first night there it was about ten below outside, but we were warm and cozy (except when Bonnie needed to go out for a walk). I was able to write, and read, and watch the Food Network if I wanted. 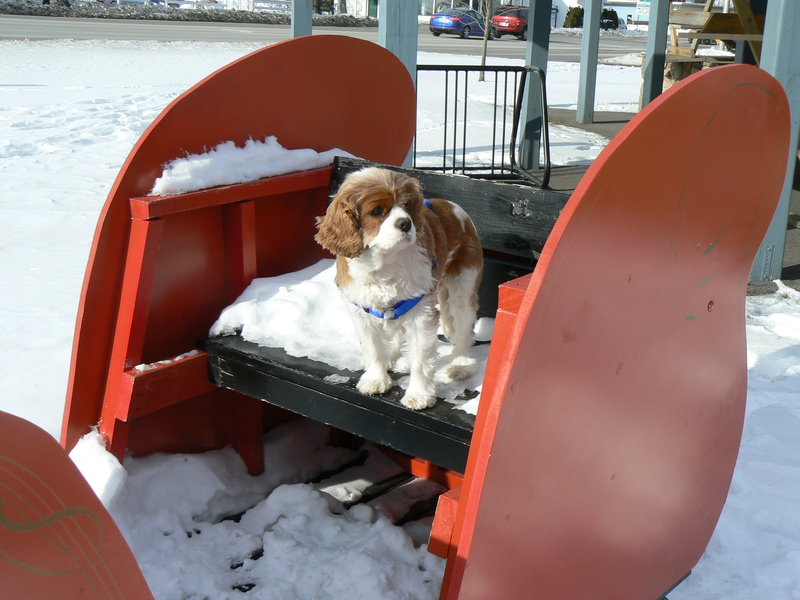 It was a short drive to Meredith and we spent time around the lake, poking into a bookstore, a coffee shop, making Bonnie ride in the sleigh (see below). The little getaways are restorative. We returned home to all the accoutrements we’re grown accustomed to having within easy reach, but spending time in a simpler place focuses the mind on what’s important: love, communication, and cold air to fill one’s lungs.